Apple announced another record quarter a few hours ago with a whopping $13.1 billion in profits in the Holiday quarter and nearly 48 million iPhones sold. With great iPad sales pushed further by the popularity of the iPad mini, in this quarter last alone Apple sold almost 71 million iOS devices. And at the conference call right after announcing the results, Apple’s chief executive Tim Cook had some impressive numbers to share with us - iOS sales have reached 500 million in total. It was June 2012 when Apple lastly updated us on its iOS device sales and then the figure stood at 400 million. In the last quarter alone, Apple sold a whopping 10 iOS devices each second. Despite that impressive growth, however, analysts saw sales of 47.8 million iPhones in the past quarter as disappointing and Apple shares fell catastrophically in pre-market trade, down by 10%. Analysts and investors of course have all rights to wonder about what the future will be and they are clearly worried by the thinning profit margins for the world’s largest company. Still, in the present, it’s hard to see a solid reason for those concerns as with over $50 billion in quarterly revenue, Apple looks definitely healthy. Next quarter is going to be extremely rough for Apple. Sales will most likely be about the same or slightly lower but I have a feeling the profit margin is going to continue to decrease..... Oh well, its about time their products got knocked down to a reasonable value. 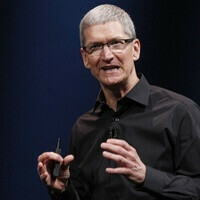 US carriers' business model helps Apple. The users don't pay full price for phones so iPhone has the same price as other phones. In fact iPhones are much more expensive and that's very unfair to Android. Pfft. That's how many devices Samsung expects to sell this year.